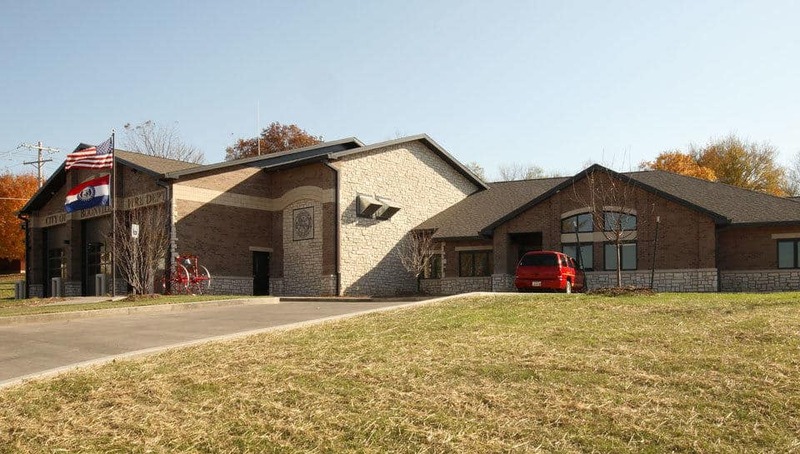 Boonville Fire Station - PWArchitects, Inc. 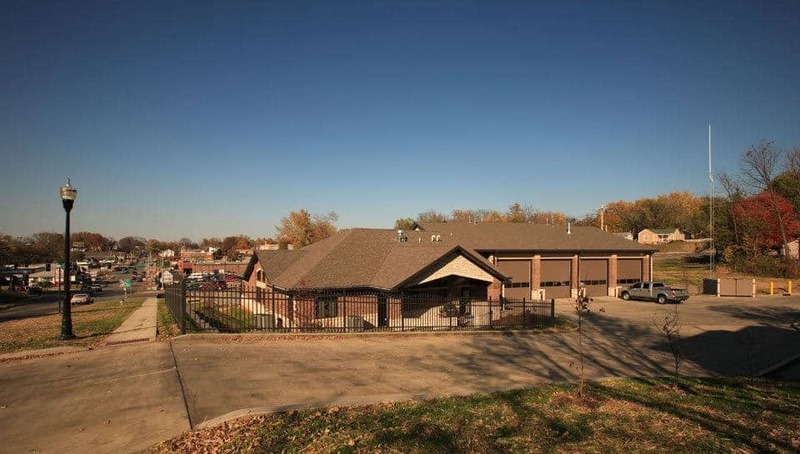 The City of Boonville teamed with PWA to produce a Feasibility Study for the expansion of Boonville Fire Station Number 1 in order to serve the growing needs of the quickly expanding community. The existing station, which was constructed in the late 1960’s, needed to be replaced with a modern station that would fit into the fabric of the community. 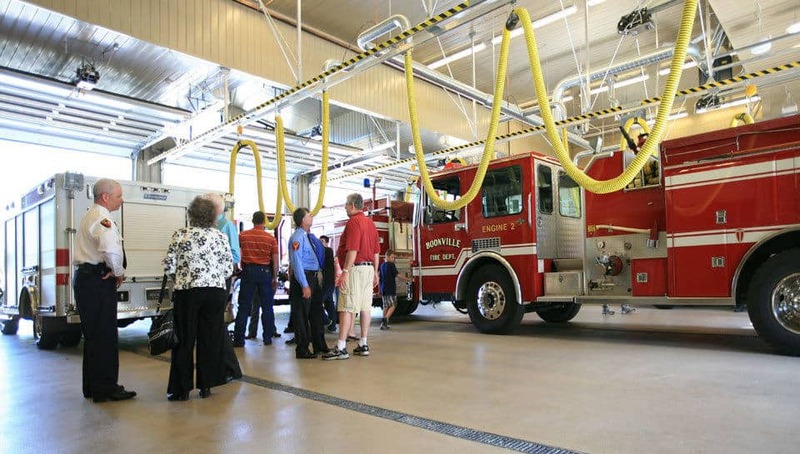 The needs for the station included the potential for adding personnel and sheltering a 100-foot ladder truck and other apparatus while providing for the comfort of the daily tasks of the firefighters. 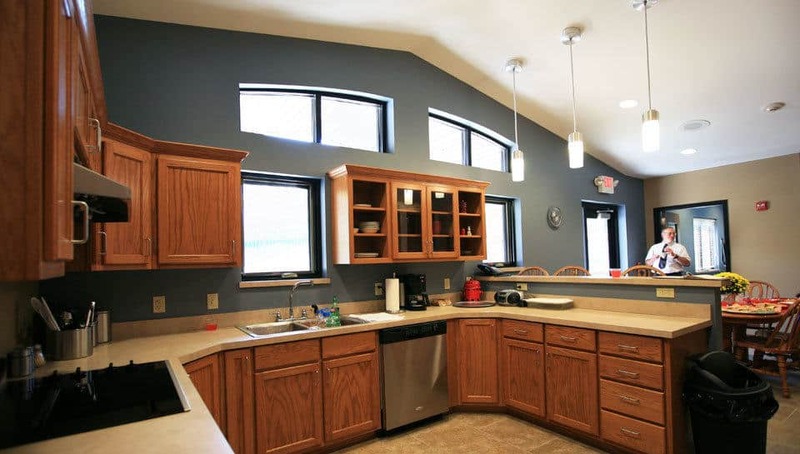 Working closely with the Fire Department on this difficult site, the team determined that the best solution was to replace the existing station with a new facility more accessibly situated on the site that would meet the needs of the department well into the future. 4 drive through apparatus bays with quick access to major thoroughfares. The kitchen range is protected by an automatic fire suppression system. Kitchen appliances are shut off with shunt trip breaker.